HATHERLEIGH, a small town, a parish, and a subdistrict, near Okehampton, Devon. The town stands on the river Lew. Beaches such as Bude in Cornwall are within a hours drive, or Westward Ho! in North Devon. Dartmoor is on the doorstep for anyone enjoying walks, and the Tarka Trail runs near by for any keen cyclists. 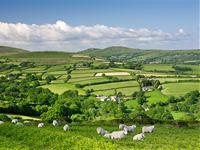 Dartmoor National Park is one of Britain’s Breathing Spaces, coveringan area of 368 square miles, Dartmoor is the largest and wildest area of open country in Southern England but it is almost much more than that. Visit the medieval home of the earls of Devon. 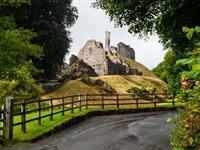 One of the country's most romantic ruins sits in a stunning setting on the foothills of Dartmoor.